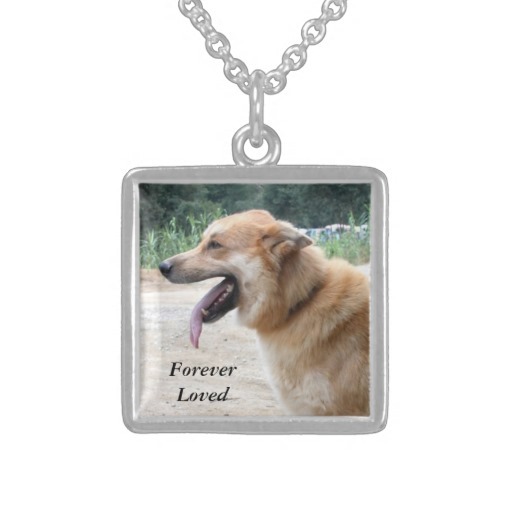 Pet memorial jewelry is a lovely way to remember your beloved pet and keep them close to your heart. They make a lovely sympathy gift which will comfort for years to come. We have chosen a selection of customisable designs here, which can be shipped internationally. 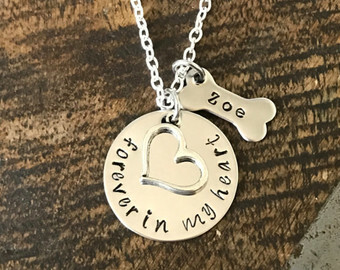 There are two basic types of pet loss jewelry on this page - those that can be personalised by engraving, and those that you can upload your own photo. Any of them would make a beautiful keepsake. Send your photo and choose your own text if you like to have this beautiful charm made to your own specifications. You can have colour or black and white, and it comes in a little organza gift bag. An engraved charm with the departed pet's name and maybe dates can be a comfort. You can also get birthstone charms, paws and bones to adorn a necklace or bracelet. Choose from a range of engraved charm necklaces. Personalise with the name of the pet and make a special treasured piece of jewelry that will last for ever. Choose from a selection of different charms for dogs or cats and personalise with your chosen text and name. 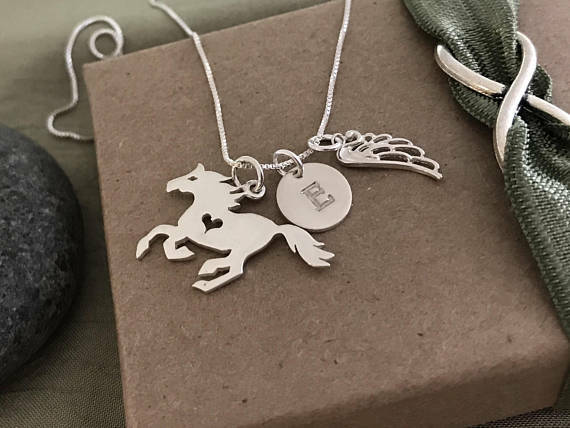 Comfort a horse lover on the loss of their dear animal with these gorgeous personalised necklaces. I love shopping on Etsy, as it has a wonderful selection of high quality hand crafted jewelry and nearly every seller ships worldwide. 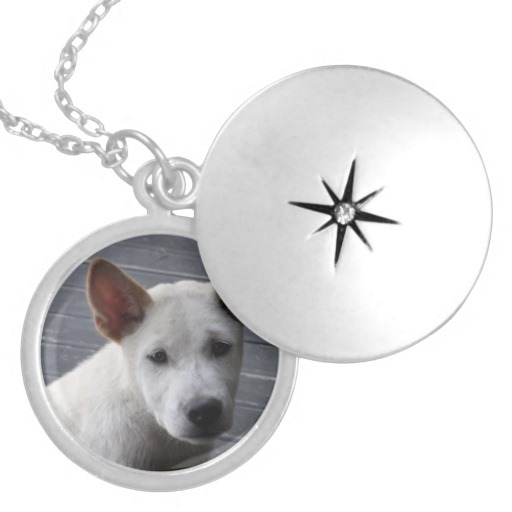 Upload your own photo to customise any of the beautiful lockets or pendants from Zazzle. This is a great company for creating personal items on quality jewelry, clothing, frames, posters, cards, mugs, plates, bags, computer accessories, phone covers and many other gifts. They send internationally and I have found that items arrive fast and are excellent quality. I have created my own range of pet loss and quote cards there too. You can make all kinds of keepsakes using photos of your pet. Perhaps a jewelry box, or print out a photo on canvas or as a large poster. You could even make a calendar with the photos of your beautiful pet. You'll find all these possibilities and more when you click through any of the following items to the store. This lovely sterling silver necklace can be personalised with your own photo and text. Also available in a larger version or gold tone, and in a circular shape too. 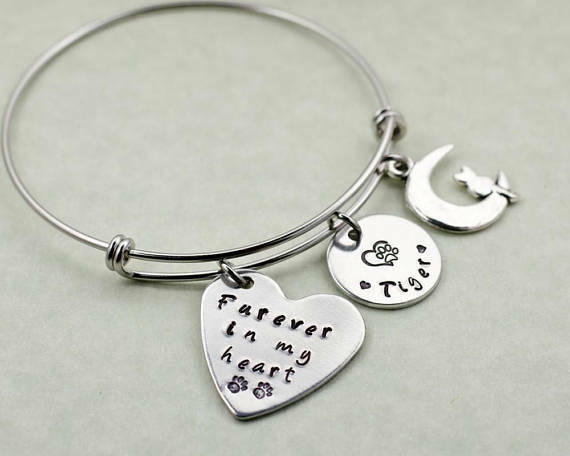 Perfect for a pet sympathy gift for a dog lover who has recently lost their pet. 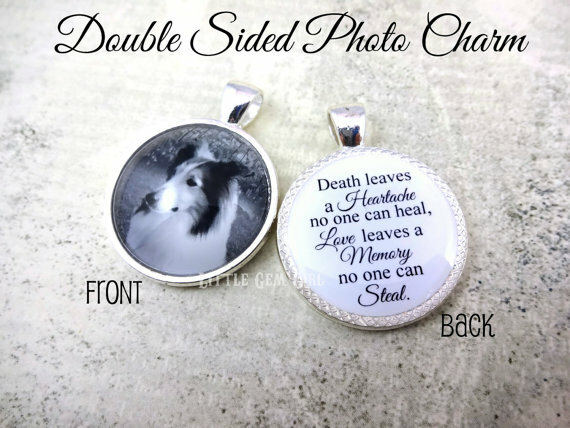 A cute locket to keep a photo of a beloved pet. This also comes in gold tone or in sterling silver. 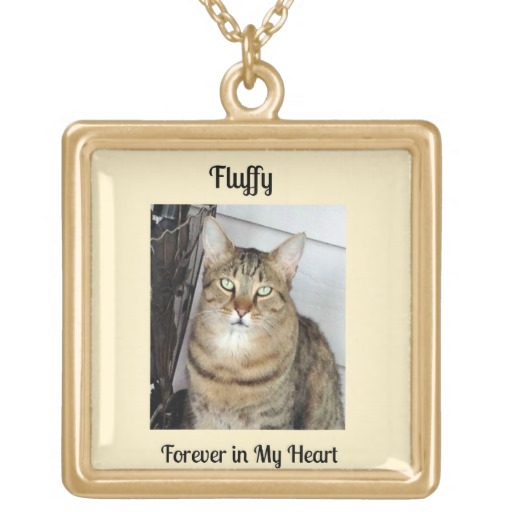 This makes an excellent pet loss sympathy gift where the recipient can add a photo of their departed fur baby. Create a beautiful piece of remembrance jewelry with this gold tone necklace. Add your pet's photo, name and memorial message. This necklace is available in various sizes and colours and ships worldwide. Pet Cremation - Helpful Advice and Pet Cremation Jewelry in which you can keep your pet's ashes.